Bell has updated their Fibe TV iOS app to bring Spotlight search capabilities for live channels in iOS 9. What does the mean? It will result in faster access to live channels within Bell Fibe TV. Just swipe down on your home screen to Spotlight search, start typing in a channel, then the result will appear in the list below. 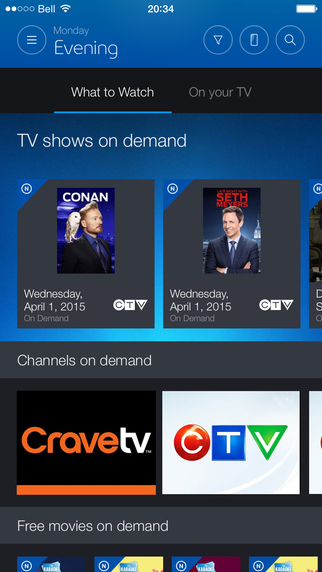 One-tap, and it’ll open Bell Fibe TV and go right to the channel, saving you time. Back in May, Bell updated Fibe TV with a brand new design, plus support for Apple Watch to control your TV. Click here to download Bell Fibe TV for iOS in the App Store.